Let's talk toes. It's chilly in DC but it's almost pedicure time which means it's peep toe time. 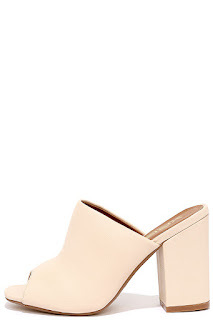 This spring, mules are going to be all of the rage and peep toe mules are the perfect shoe to add to your closet right now. These trendy shoes don't need to break the bank. Here are my favorites under $100. 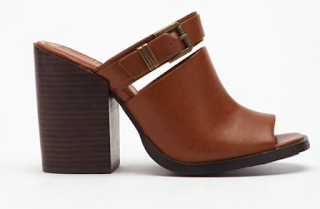 Simple, chic, funky with this stacked heel. Oh and the price? Yeah. Can a shoe have a sweetheart neckline? Because these beauties do and I love them. A little buckle detail for under $20? Don't mind if I do. How comfy do these look? 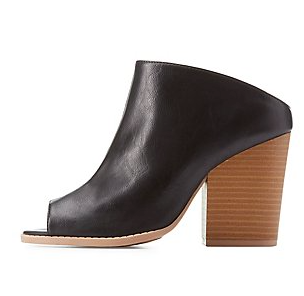 They also come in black, perfect with bf jeans or an lbd. Paint those piggies and get them ready for peep toe mule season!